The Green Lantern Corps Podcast Episode 11! TheGreenLanternCorps.com proudly presents The Green Lantern Corps Cast, a podcast focusing on all things Green Lantern. In this episode, the guys talk to superstar Green Lantern artist, DOUG MAHNKE! Doug Mahnke describes what makes a perfect comic book, sharing a studio with Patrick Gleason, Final Crisis headaches and more. Things also get a bit weird when one of the cast members asks a question that NO ONE will see coming! From Geoff Johns to Frankenstein, everything is here in PART ONE of this special interview. All that and more in this episode of Corps Cast! Featuring opening and ending themes from Kirby Krackle (http://www.kirbykracklemusic.com/) and The Roy Clark Method (http://www.freewebs.com/royclarkmethod/). The Green Lantern Corps Podcast Episode #6 with Mark Bagley! TheGreenLanternCorps.com proudly presents The Green Lantern Corps Cast, a podcast focusing on all things Green Lantern. In this weeks episode the guys talk with Justice League of America artist, Mark Bagley! In this episode the gang talk to Mark about rushed art, James Robinson, The Perfect Justice League, editorial fights, rumors to Marvel, TRINITY and much more, including exclusive tidbits on JLA 53! All that and more on the latest episode of The Green Lantern Corps Cast! And be sure to pick up Justice League of America #50 on October 20th! The Green Lantern Corps Podcast Episode #3 with Dan Jurgens! TheGreenLanternCorps.com proudly presents The Green Lantern Corps Cast, a podcast focusing on all things Green Lantern. In this weeks episode the guys talk with legendary creator DAN JURGENS! In this episode we talk about Zero Hour, Continuity issues, DC Universe Legacies and West asks Dan how it feels to wake up knowing he ruled the 90s! All that and more on the latest episode of The Green Lantern Corps Cast! And be sure to pick up Time Masters: Vanishing Point #2 on August 25th and DC Universe Legacies #7 on November 17th. The Green Lantern Corps Cast Episode #2 w/ Kirby Krackle! The Green Lantern Corps Podcast Episode #2! TheGreenLanternCorps.com proudly presents The Green Lantern Corps Cast, a podcast focusing on all things Green Lantern. In this weeks episode the guys talk (nerd) rock band KIRBY KRACKLE! The age old question is answered: Hal or Kyle? Jim makes a smooth transition into a Superman vs Hulk scenario and Martian Manhunter’s chocos! The gang ends up being the interviewed somehow…Kirby Krackle makes their stand on respecting continuity vs bringing new readers in. The duo also talk about their convention schedule, the secret origin of playing with Joe Quesada and “The Villain Song”. Join the Facebook group to get the “Ring Capacity” single on GREEN LANTERN soundtrack/ending credits. 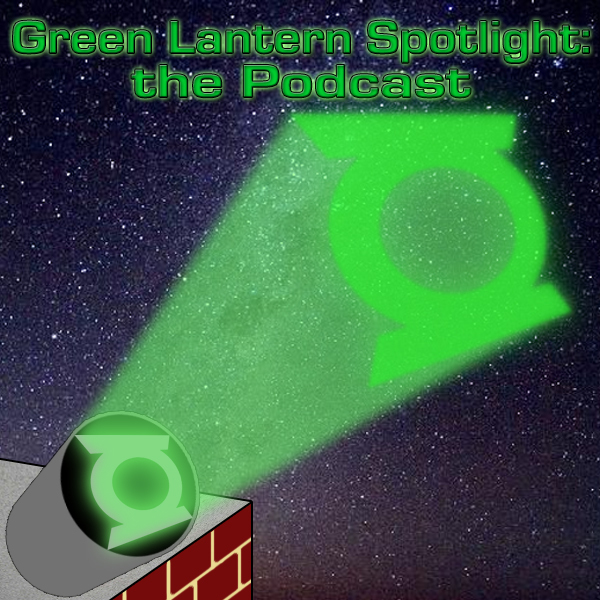 Join the Green Lantern Spotlight cast as they welcome back TONY BEDARD! The current writer of REBELS and GREAT TEN, and soon to be on GREEN LANTERN CORPS! Featuring opening and ending themes from Kirby Krackle (http://www.kirbykracklemusic.com/) and The Roy Clark Method (http://www.freewebs.com/royclarkmethod/). Join the guys as they talk with Blackest Night: Titans writer JT Krul! Covering plenty of topics from Black Lantern babies, Red Arrow & Tempest, Geoff Johns and the University of Michigan, Seinfeld and effects of solicitations and more! Join West, Andrew, Kuhan and Mew as talk with “R.E.B.E.L.S.” writer Tony Bedard. The guys discuss what’s to come of the series, how it connects to Blackest Night, sales, future projects and Tony even hints at exclusive big news. Join Ryan, West, Andrew, and Mew as they welcome back the “Batman and Robin” artist Philip Tan! The guys talk about pressures from following Frank Quietly, hectic Green Lantern schedules, secret upcoming projects and more!